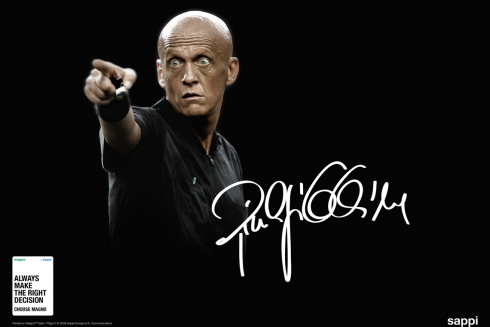 Centigrade developed “Always The Right Decision,” a six-month incentive campaign for Sappi Magno fronted by Pierluigi Collina, a world-favorite referee. The campaign positioned Magno as the benchmark supplier of quality paperstock – the industry ‘reference’ for paper merchants and printers. The goal was to increase sales and further develop the relationship between merchants and printers by creating locally customised campaigns. 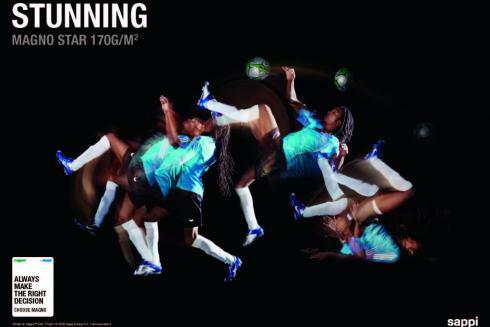 The print and online campaign was timed to coincide with the lead-up to the World Cup with a trip to South Africa and match tickets for the Grand Prize winners.